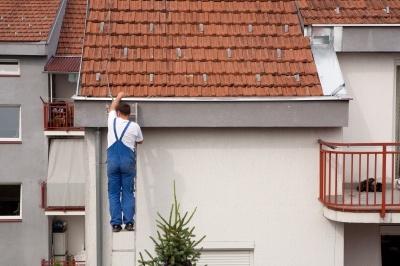 Our techs are highly trained to look for any issues reguarding your roof. While on top of your roof we will be looking for sundamage, soft spots, water damage, loose shingles, missing shingles, any damage to the soffit or facial, and also check to make sure there is no damage to your vent boots. This service is done on every home beautified FREE of charge with any service provided. All downspouts are de-clogged and flushed out using the High Power method, meanwhille, there is always a ground tech walking the entire house checking all downspout openings on the ground to ensure it is flowing properly all debris is clear. Once we have removed all debris from your gutters and downspouts it's TIME TO CLEAN!!! Once we clean-up the old gutter debris, it look like we have never been there!